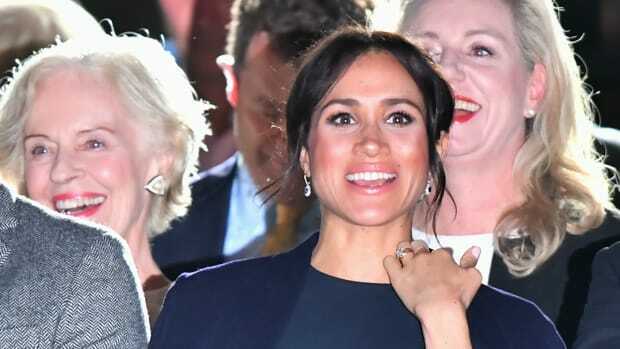 Hours after her stunning and historic wedding to Prince Harry at Windsor Castle&apos;s St. George&apos;s Chapel, Meghan Markle — or, should we say, the Duchess of Sussex — stepped out once more at Windsor Castle en route to an evening reception with her new husband at Frogmore House. 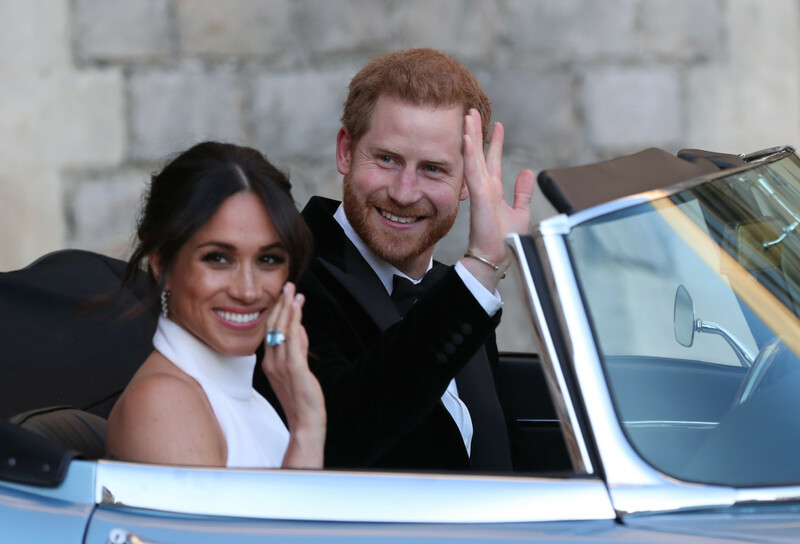 Wearing a beautiful lily white high-neck gown made of silk crepe designed by Stella McCartney, Markle joined her betrothed in a silver blue Jaguar E-Type Concept Zero convertible, achieving a mind-blowing level of glamour and style rarely seen outside of a James Bond film. 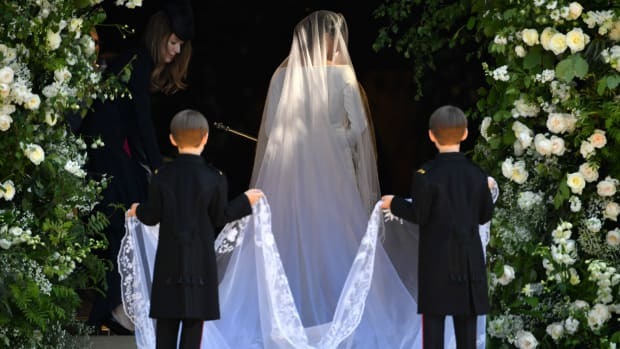 Notably, McCartney is British, not unlike Clare Waight Keller, who designed Markle&apos;s Givenchy wedding dress. 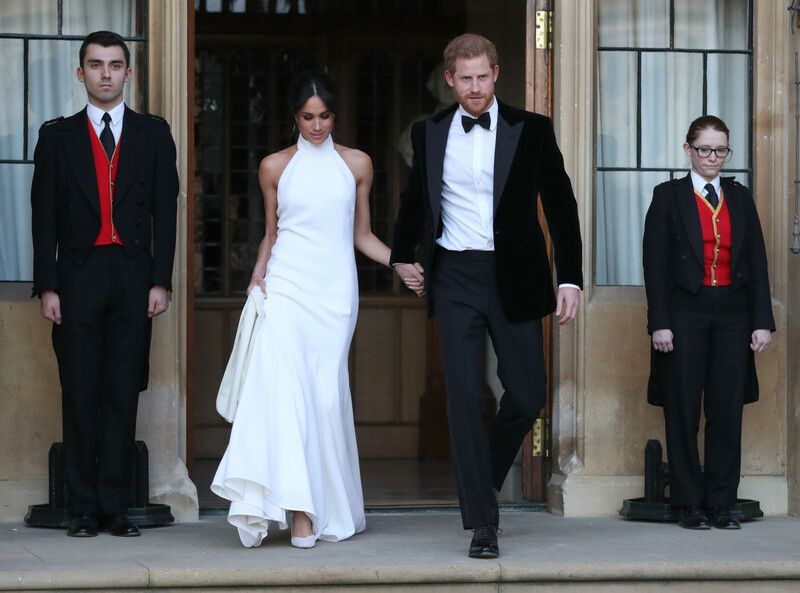 Markle also wore a cape dress by McCartney just last month. Markle&apos;s silky satin shoes are by Aquazzura and feature baby blue soles. She&apos;s also wearing a blue cocktail ring on her right hand — which multiple sources say belonged to Princess Diana. Along with the silver-blue &apos;60s car, she&apos;s got the whole something old, something new, something borrowed, something blue thing pretty well covered. On her ears, she&apos;s wearing Reflection de Cartier white gold and diamond earrings. McCartney and her team have clearly been busy leading up to Saturday&apos;s festivities. The British designer also dressed Amal Clooney and Oprah for the ceremony — the latter having had to scrap her original outfit because of the color, forcing the McCartney team to work overnight to finish her lovely blush look. (Oprah shared the story on Instagram.) According to the brand, McCartney also dressed Markle&apos;s mother Doria Ragland. Two hundred guests are expected at the private evening party, and as photos start to trickle in, we&apos;ll be keeping you up to date on what all the famous attendees wear as well. 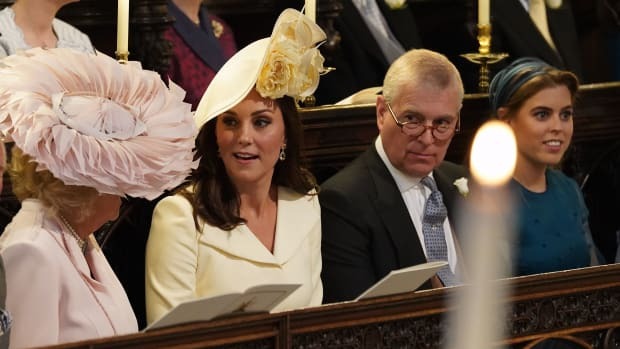 Follow all of our Royal Wedding fashion and beauty coverage here. 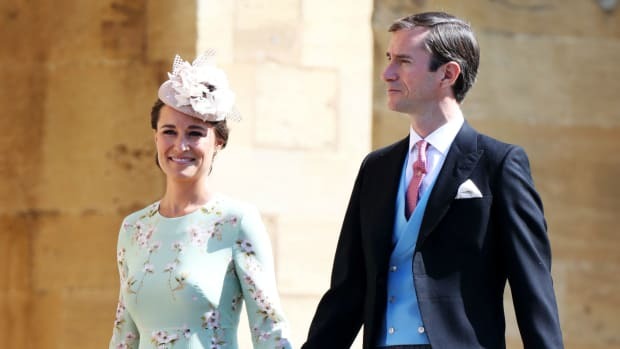 Courtesy of British designer Clare Waight Keller, the house's first female artistic director. The "Hepburn Dress" is still available for purchase for $695. The Duchess of Sussex chose a stately hue to celebrate the official start of her husband's Invictus Games. One way to show respect to the bride? Try to not attract an ounce of the attention owed her.